We’ve all seen the Lowe’s or Home Depot commercials that encourage homeowners to Do-It-Yourself. Stop overpaying someone to do it for you and play with those power tools until your heart is content! Yet, how do you determine if it is beneficial to Do-It-Yourself? How does a homeowner make the right choice when deciding to DIY or Not? If you are considering a DIY project, you need to educate yourself on when DIY is a good idea and when you’ll end up paying for it in the long run. The most important question you need to ask yourself before undertaking any DIY project is: can I complete this project safely? The fact of the matter is people get hurt when working on DIY projects. Are you prepared to play with hydrochloric acid that can leave you with chemical burns? Do you have a quality respirator that can trap out all acid vapors? And these are just the tip of the iceberg when it comes to safely installing new epoxy floor coatings. If protecting yourself and your family is your number one concern, you may want to consider hiring a professional. A home is one of your largest investments and no one wants to see their investments decrease in value. Continually increasing the value of your home is a noble goal for homeowners. Will I be able to complete this job in a manner that looks similar to that of professionals? Will my work result in my home increasing in value? While some homeowners have a knack for completing DIY in a professional manner, most do not. We have yet to run across a DIY garage floor coating that looks like professionals did it. There is a certain art to applying epoxy floor coatings and people will notice if your new garage floor coating was a DIY project. Do I have everything I need? Am I available to prepare these items in a timely fashion? Do I have all the repair materials I need? Do I understand their exact cure times? Have allowed myself proper preparation to put out epoxy materials? Do I need my garage for the next week? While all projects look simple on TV or on YouTube, every DIY project is harder than it appears on camera. Realizing a project you thought would take you a day, could end up taking a week. The main reason many homeowners decide to embark on a DIY project is to save money. Still, many homeowners fail to calculate the cost of a project over the long haul. 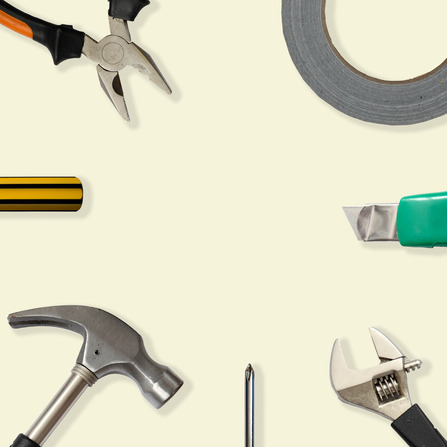 Is the DIY job going to last nearly as long as a professional job? Chances are slim it will. Many times homeowners who decide to install a garage floor coating themselves end up having to apply new epoxy coating every couple years. Year after year these costs continue to add up. Over the long haul, many DIY projects don’t really save homeowners money. This is especially true when looking at garage floor coatings. A professionally done epoxy floor coating can last upwards of ten years if properly maintained. A DIY garage floor coating may not even last you through the winter. The question is: Do you really want to? What true benefits will you get from DIY yourself? While there are many DIY projects that are great for homeowners to attempt, garage floor coatings may not be one of them.